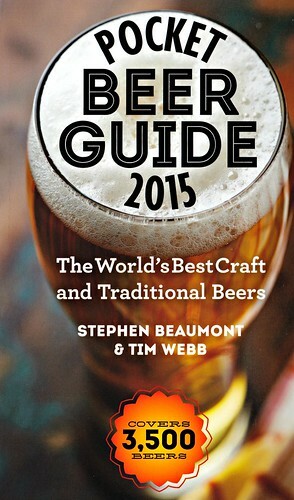 Stephen Beaumont and Tim Webb have just released the 2015 edition of their Pocket Beer Guide: The World's Best Craft and Traditional Beers. 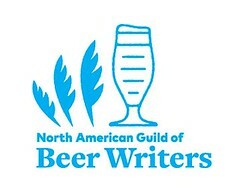 Beaumont is one of our great beer writers. (Tim Webb, too.) This new guidebook is worthy of a full review. I'll read the whole thing, and get back to you. In the meantime, an introductory chapter is worth mentioning because, in it, the authors attempt to define 'craft' beer. Although believed in some quarters to be a product of American small brewery marketers, the phrase "craft brewing' and its corollaries "craft-brewed beer" and "craft beer" in fact date to at least the mid-1970s, during which time they were used tolrefer to small, artisanal, and usually family-owned European breweries and their brands. Or more simply, whatever was not a large and usually multinational brewery or beer. 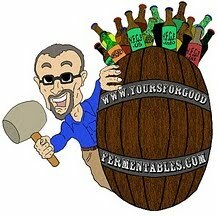 Craft breweries are smaller than brewing corporations. The authors do not pinpoint that exact dividing line, choosing an "I'll know it when I see it" decision, other than an arbitrary number. Large breweries diminish their beers with adjuncts; 'craft' breweries use adjuncts for flavor-enhancing purposes. "In a true craft brewing company, the ideas flow from the brewers to the marketing divisions, while in large-scale convenience brewing operations, the reverse is true." That's an interesting turn of phrase: "large-scale convenience brewing." Some 'craft' breweries, true to other parameters, may fail here. And, finally: risk-taking, innovation, and "changing the status quo, rather than being content to follow the herd." A worthy attempt, but I find one glaring omission. Above all else, a 'craft' brewery is one that brews good beer. Good? De gustibus non disputandum, a search for a Platonic ideal, but the ability and the knowledge —yes, scientific and technological— to brew well, and to do so over a period of time, is as critical to 'good' as an artistic frame-of-mind. And, what of respecting and knowing what came before? Brewing traditional beers takes as much 'craft' courage and skill as tossing a candy bar into a cask. Actually more, a lot more. Those boorish tropes, "the end to bad beer" and "we are revolutionaries," are solipsistic boasts, meaningless without 'craft' skill and taught/learned knowledge. A 'craft' brewery is usually a small brewery, but not always so. A 'craft' brewery can be local —that's nice for community enhancement and beer flavor stability— but that's not essential to a definition. Would beers from a 'craft' brewery located far afield become non-'craft' because of their voyage to the drinker? So, what do I believe a 'craft' beer to be? I once read a wonderful description of the difference between wine and beer. Wine, it was said, was like a movie. It's made and that's that. Beer, on the hand, was like a Broadway show. It must be recreated night after night, playing to different audiences. A 'craft' beer is a beer brewed with artistic intent and scientific rigor; it's a beer that the brewer herself would want to drink. One that 'plays on Broadway' to acclaim ... day after day. Stephen Beaumont blogs at Blogging at World of Beer.